An offender’s failure to engage with his community payback order led to a prison sentence. Appearing at Falkirk Sheriff Court last Thursday, John McGarry (29), 144 Carronshore Road, Carronshore, had already pled guilty to behaving in a threatening manner at Tesco, Central Retail Park, Falkirk on July 24 and in Thornbridge Road, Falkirk on August 8. He also breached his bail conditions not to contact his former partner on May 18. 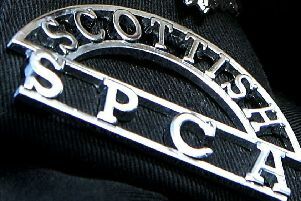 Procurator fiscal depute Graham McLachlan said on one occasion police were investigating a shoplifting incident at Tesco when McGarry, who was standing outside the store, came to their attention. McGarry breached his bail when he called his ex-partner and demanded £39 he said she owed him. Lynn Swan, defence solicitor, said McGarry had a problem with cellulitis in his knee and that was the reason he had not carried out any of his unpaid work, but he would now be available for light duties. She added any prison sentence he received over six months would lead to him losing the new accommodation he had managed to secure. McGarry was sentenced to 105 days in custody.